CNS News has the story on how much we give the United Nations. American taxpayers will once again be liable for more than one-fifth of the United Nations’ regular budget next year, as well as more than one-quarter of the much-larger peacekeeping budget – a total of approximately $2,957,000,000. […]There are 193 U.N. member-states. When decisions are made on the U.N. budget, the U.S. has the same (one) vote as does every other member, despite the size of its contribution. America’s 22 percent contribution comes with no more weight in the budget process than the 0.001 percent paid by the lowest-assessed nations. We’re paying the bill, but other nations – often with gross human rights abuses – are calling the tunes. What kinds of tunes are they calling? Well, they are promoting abortion, for one. And the United Nations is very concerned with promoting gay rights, too. UN Secretary General Ban Ki-moon promised that homosexual and transgender rights would advance at the United Nations despite the strain it will cause within the organization and between states. […]“This is not just a personal commitment, it is an institutional commitment,” he said, promising that he would “continue to fight” and that he would be the “first of many” Secretary Generals to take up LGBT rights, as part of the UN’s “sacred mission” to promote human rights. Now for those who are more concerned about fiscal issues than social issues, you shouldn’t like the United Nations either. The results range from Security Council paralysis to watered-down resolutions that too often fail to solidly reflect U.S. interests. This has not been helped by U.S. policies outlined by President Obama when he told the UN General Assembly in 2009 that “No one nation can or should try to dominate another nation” and “No balance of power among nations will hold.” Far from taking this as an inspiration to live in brotherly peace and fill the communal pot, some of the more opportunistic UN member states appear to have received it as an invitation to grab whatever they can get. Russia and China have been ever more aggressively pursuing anti-American interests, including increasing engagement with terror-sponsoring Iran and actively preventing action to stop the atrocities in Syria. Following a spate of Security Council sanctions resolutions meant to stop Iran’s rogue nuclear program, in 2006, 2007, and 2008, the Council has not produced another since 2010. When civil war engulfed Syria starting in 2011, Russia blocked Security Council action for more than two years, until finally, in Sept., 2013, the U.S. deferred to a Russia-brokered deal to relieve Syria’s Assad regime of its chemical weapons in exchange for effectively shoring up Syria’s President Bashar Assad—and allowing the killing to continue unabated. In the General Assembly, U.S. money has similarly not bought friendship. On the contrary, U.S. funding has fostered an entitlement culture, in which the U.S. is not only taken for granted as a cash dispenser, but also systematically denounced and defied. Nations deeply hostile to the U.S. have made an art of twisting the UN system, flush with U.S. resources, for their own aims. A prime exhibit is Iran’s current three-year chairmanship (2012-2015) of the so-called Non-Aligned Movement, which with 120 members is the second-largest voting bloc in the UN General Assembly. At the UN’s New York headquarters, the largest voting bloc, the Group of 77, with 133 members, is currently chaired by Bolivia—where the anti-American government maintains close ties to Iran. The practical results of such arrangements can be found in the annual reports submitted by the State Department to Congress on “Voting Practices in the United Nations.” The most recent report, released last April and covering 2012, records that of all General Assembly resolutions put to a vote, fewer than half the UN member states—just 42.5 percent—aligned themselves with the U.S. For votes on resolutions the State Department judged “important,” the coincidence of countries voting with the U.S. was even lower: a mere 35.4 percent. We’re not getting good value for money here… we’d be better off using that money on our own military and military alliances, e.g. – NATO. 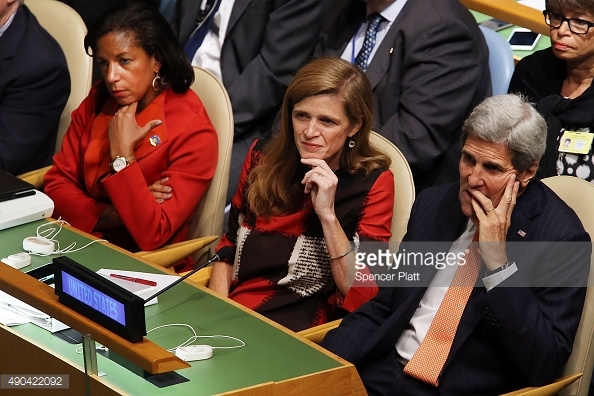 And if you care most about foreign policy, well… the United Nations is still not for you. Founded in 1945 to promote global peace, human dignity and freedom, the United Nations is celebrating its 70th anniversary — with a parade of dictators. The ceremonies will peak on Monday, at U.N. headquarters in New York, when the General Assembly opens its annual debate with a lineup starring the presidents of such notorious tyrannies as China, Russia, Iran and Cuba. [..]Monday’s opening of the U.N. general debate will also feature the despots who bestride such countries as Belarus, Turkmenistan, Zimbabwe, Kazakhstan, Qatar, Ethiopia and Gabon. […]Today, according to the rankings of Washington-based Freedom House, more than half the U.N.‘s 193 member states are only partly free, or not free at all. During the entire general debate, a six-day marathon of speeches, from Sept. 28 – Oct. 3, all members get a 15-minute turn (though some take more) on the main stage. What’s historic, however, is the procession of high-profile despots planning to appear in person in Monday’s starting lineup, including Russia’s Vladimir Putin, China’s Xi Jinping and Cuba’s Raul Castro… [M]aking his third appearance at the U.N. general debate, comes Iran’s President Hassan Rouhani, clutching the freshly minted Iran nuclear deal and fronting as head of state for Tehran’s terror-sponsoring tyranny run by Supreme Leader Ali Khamenei. That’s right. The United States is handing billions of taxpayer dollars to an organization that has large numbers of dictators calling the shots. It’s really time to cut off funding for this corrupt, anti-American organization. But that will never happen while the Democrats are in charge. Think of that when you are voting next November. Is Obama’s nuclear deal with Iran good for our national security? This is the top article on the Wall Street Journal right now. It’s written by two former Secretaries of State, Henry Kissinger and George P. Shultz. While Iran treated the mere fact of its willingness to negotiate as a concession, the West has felt compelled to break every deadlock with a new proposal. In the process, the Iranian program has reached a point officially described as being within two to three months of building a nuclear weapon. 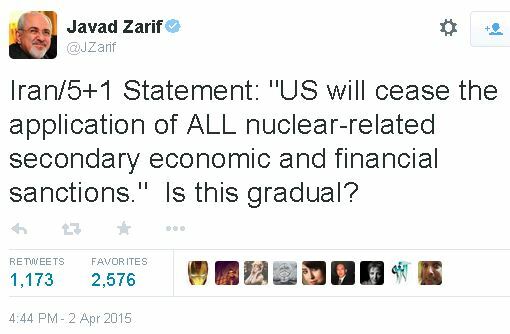 Under the proposed agreement, for 10 years Iran will never be further than one year from a nuclear weapon and, after a decade, will be significantly closer. […]Progress has been made on shrinking the size of Iran’s enriched stockpile, confining the enrichment of uranium to one facility, and limiting aspects of the enrichment process. Still, the ultimate significance of the framework will depend on its verifiability and enforceability. […]Under the new approach, Iran permanently gives up none of its equipment, facilities or fissile product to achieve the proposed constraints. It only places them under temporary restriction and safeguard—amounting in many cases to a seal at the door of a depot or periodic visits by inspectors to declared sites. The physical magnitude of the effort is daunting. Is the International Atomic Energy Agency technically, and in terms of human resources, up to so complex and vast an assignment? That doesn’t sound like a good deal to me. It sounds like we are trading permanent relief from sanctions. Those sanctions were built up over years of negotiations with the UN countries. Sanctions that are not easy to “snap back” if Iran breaks the deal, because they require negotiations with many different UN countries again – it won’t be automatic. That’s the “asymmetry” they are talking about in the article. Iran can break the agreement unilaterally, or just block the inspections, and the sanctions will stay off until we get agreement with the UN countries. She is confused by all the “big words” that these two Secretaries of State used in the article above. Iran will begin using its latest generation IR-8 centrifuges as soon as its nuclear deal with the world powers goes into effect, Iran’s foreign minister and nuclear chief told members of parliament on Tuesday, according to Iran’s semi-official FARS news agency. If accurate, the report appears to make a mockery of the world powers’ much-hailed framework agreement with Iran, since such a move clearly breaches the US-published terms of the deal, and would dramatically accelerate Iran’s potential progress to the bomb. Iran has said that its IR-8 centrifuges enrich uranium 20 times faster than the IR-1 centrifuges it currently uses. It said that Foreign Minister Mohammad Javad Zarif and Atomic Energy Organization of Iran (AEOI) head Ali Akbar Salehi made the promise when they briefed legislators on the framework agreement, and claimed the move was permitted under the terms of the deal. Oh, I guess was wrong. This is a good deal! For Iran. Sigh. I guess if you want to be even more horrified by the Iran deal, you can listen to an interview that Hugh Hewitt did with Wall Street Journal columnist Bret Stephens, and there’s a transcript as well for those who would rather read about the incompetence of the Obama administration rather than hear about the incompetence of the Obama administration. Investors Business Daily has a story to go with the 5-minute testimony. Patrick Moore came off as a raving denier. “There is no scientific proof that human emissions of carbon dioxide are the dominant cause of the minor warming of the Earth’s atmosphere over the past 100 years,” said Moore, who was testifying before the Senate Environment and Public Works Committee’s Subcommittee on Oversight. Moore is somewhat famous for leaving Greenpeace, a large environmentalist organization that grew from a small activist group he belonged to in 1971 while earning his doctorate in ecology. He quit in 1986 because it had become too political and strayed away from the science he believed was its institutional strength. To with that testimony, here’s an article from Forbes magazine (Feb 2013) about the real scientific consensus on global warming. I have been listening to Hugh Hewitt’s radio show a lot in the evenings to keep up with Russian troop movements near Ukraine, because I frankly think that the dictator Putin has been eyeing our defense cuts and licking his chops at our diplomatic weakness. When Putin hears our Secretary of State go out there and declare that a major threat to national security is global warming, that doesn’t exactly discourage him from aggression. It’s junk science. It conflicts with observations. It’s pushed by scientists to get more grant money. It’s pushed by socialists to get more control. Period. The strategic cost of President Obama’s election-driven total withdrawal from Iraq is now becoming clearer. On Sunday Secretary of State John Kerry was reduced to pleading with Iraqi officials to search Iranian flights that fly over Iraq on their way to arming Bashar Assad’s Syrian government. With private entreaties doing no good, Mr. Kerry took his complaints public on Sunday on a visit to Baghdad, telling reporters that Iraq’s failure even to search Iran’s overflights leaves the American people “wondering how it is a partner.” Too bad Mr. Obama didn’t think about that in 2011 when he could have struck a deal to station 10,000 or so U.S. troops in Iraq for the long haul, which would have sealed the kind of partnership Mr. Kerry now wants. Mr. Kerry’s predecessor, Hillary Clinton, thought she had secured a Baghdad pledge last year to search Iran’s flights, but U.S. officials say Iraq has searched only two of what have become almost daily trips to Damascus. Mr. Kerry implies that this is an Iraq betrayal, but with the U.S. seen as wanting to withdraw from the region and Iran able to stir up plenty of political trouble inside Iraq, Prime Minister Nouri al-Maliki has little incentive to take a risk for U.S. interests. Mr. Obama is also discovering that there are strategic costs to doing so little in two years to topple Iran’s proxy government in Syria. Refugees are flooding into Jordan, threatening the stability of that U.S. ally, and no one seems sure who has control over Syria’s chemical weapons. Mr. Obama claims “the tide of war is receding,” but the main result of his abdications is that the U.S. has less influence to stop war from spreading. 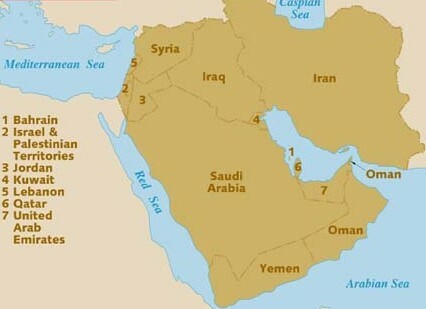 We withdrew our forces from the key area of the Middle East, Iraq, which is located between Iran and its puppet state, Syria. Without a military force in the area, we have no influence and nothing to bargain with. We can’t even support covert operations. We have lost all credibility in the Middle East by appearing weak. That’s what happens when you put Democrats in control of foreign policy. They think that people will listen to them because they are so nice – redistributing wealth and silencing those mean moral people. They have such compassion. But in the real world, countries understand that pacifists are weak. Iraq knows that they have more to fear from Iran than the United States, so they side with Iran. Our weakness has caused our allies in Afghanistan and Iraq to side with the stronger force in the Middle East, our enemy Iran.